The Department of Pulmonology and Respiratory Medicine at the University Hospital Saarland offers the full range of services in these medical fields. Of particular interest is the treatment of lung cancer, respiratory failure, chronic obstructive pulmonary disease and pneumonia. As a university medical facility, the department has specialized units for intensive care, cystic fibrosis, alpha-1 antitrypsin deficiency, pulmonary fibrosis, pulmonary hypertension and lung transplantation. With 78 beds (including 18 beds, equipped with artificial ventilation systems), a large outpatient clinic for special consultations, the department is one of the largest centers of its kind in Germany. The department is headed by Prof. Dr. med. Robert Bals. One of the most important foci of the department is the diagnosis and treatment of lung cancer. In 2017, there was opened a modern specialized Lung Cancer Center, which offers innovative methods of diagnosis and treatment that ensure the most effective treatment of this pathology. The treatment plan is developed for each patient individually, within the framework of interdisciplinary oncological consultations with the participation of all the necessary specialists from related disciplines. The scope of tasks of the center also includes psycho-oncological care and palliative care for patients with advanced lung cancer stages. The department’s service range is complemented by diagnosis and treatment of sleep disorders. To do this, the department has the advanced Sleep Laboratory, which allows to conduct outpatient sleep screening. During the examination, doctors detect sleep apnea, snoring and other parameters of sleep disorders. Testing can be conducted at home with the use of Apnoescreen device. After the comprehensive diagnosis of sleep, the patient will be prescribed the optimal treatment, which allows to get rid of sleep problems and improve the quality of life. 1987 - 1994 Study of Medicine, Ludwig Maximilian University of Munich. 1994 - 1996 Intern, Assistant Physician, Innenstadt Clinic, Institute of Anatomy, Ludwig Maximilian University of Munich. 1996 - 1999 Postdoctoral Fellowship, University of Pennsylvania, Institute for Human Gene Therapy, Philadelphia, USA. 1999 - 2001 Assistant Physician, Grosshadern Clinic, Ludwig Maximilian University of Munich. 2001 - 2010 Assistant Physician and Senior Physician, Hospital at the Philipps University of Marburg. 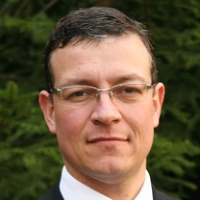 Since 2010, Head of the Department of Pulmonology and Respiratory Medicine at the University Hospital Saarland. German Society of Infectious Diseases. German Society of Pulmonology and Respiratory Medicine. Department of Pulmonology and Respiratory Medicine.